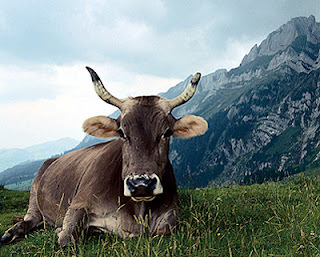 Appenzeller belongs to the centuries-old tradition of French and Swiss mountain cheeses made initially in monasteries. Cool mountain caves were used for storage, and the monks perfected the practice of rubbing the wheels repeatedly with brine to preserve them and encourage a rind. Appenzeller has a documented history of at least 700 years. 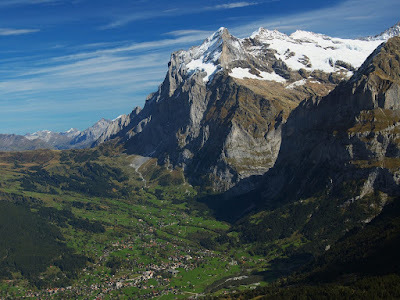 Originally from the mountain canton of Appenzeller, Switzerland, close to Austria, it is also manufactured in the Swiss cantons of Saint Gallen and Thurgau. Small brown Swiss cows graze on the rich pasture of the alpine forelands and the milk they produce is made into a delicious and full flavored cheese, of which the recipe is still kept a secret. Maturation time is 7 to 12 months and usually peaks at around 9 months. 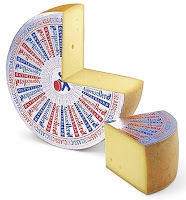 All Appenzeller wheels are washed repeatedly with an herb-infused brine, but no two producers use the same recipe. Some formulas are said to include as many as 20 herbs or a local herb liqueur, as well as white wine or cider. Resembling Gruyere in texture and flavor, Appenzeller wheels are smaller, about 20 pounds. The paste is butter-colored, darkening with age; the consistency is smooth, dense and semifirm, and it shouldn't be grainy. "Classic". Aged three to four months. The wheels are wrapped in a silver label. "Surchoix". Aged four to six months. Gold label. "Extra". Aged six months or longer. Black label.